elves - Wood Elves Warband? I'm thinking about starting a Wood Elf warband and I can only find one set of experimental rules on mordheimer.com. - Are there any other and preferably "unofficial" Wood Elf warband rules available? - Are the experimental rules from mordheimer.com balanced? 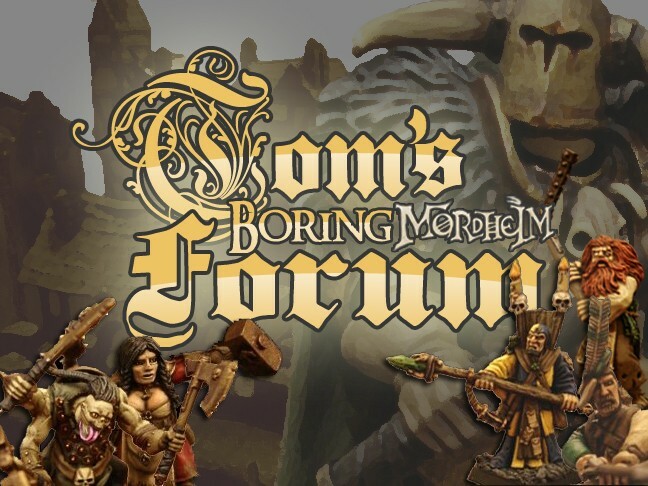 - Are most Mordheim players OK with playing an experimental warband? I prefer the Mousillin one myself as I have most experience with it and it is not unbalanced that I can tell, but we usually drop the Crossfire and Camouflage rules and make them special skills they can learn. Some of the prices are very low, but lack of options and weapons above S3 is rough. I have not been able to test ANY of the above, but the one feedback I heard regarding the Brahm's band is that the Wood Spirit should be considered Large- one player I met online said that something that powerful should suffer the drawbacks of being a large model (+1 to shoot at, +20 rating instead of +5, can't enter small buildings, etc.) That is not an official errata by Brahm. ~Replace the Elf spells with Prayers of Taal (count as spells). ~No Ithilmar. Instead, may take Forest Cloaks (from Outlaws of Stirland Warband) 50gc, Rare 10. -1 to hit with missiles. Also, on a 4+, any enemy spell/prayer caster cannot target them. Ignore both of these rules if the shooter/caster is Init inches away from the target. Heroes may purchase at start without rolling for rarity. May not wear Forest Cloak and Elven cloak at the same time. ~As for how players feel, that ENTIRELY depends on your group. You couldn't enter a tournament with them, but they are seldom any official tournies anyway, so that's hardly a problem. With the exception of the core rulebook bands, nearly every warband has some small level of "unofficial" or "experimental" status. When in doubt, listen to your fellow gamers, and listen to what they find to be broken or unfair. If they are strict and unyielding with the rules, they may not be the funnest group to play with ANYWAY. Having re-looked at Brahm's list, the other suggestion I would make is that you can only start with FOUR heroes. They have access to 5 different heroes, which are each stronger than human champions- Rather, I suggest you pick 4 heroes from the five open to you. If one of them dies, you can hire another. However, the only way you can reach heroes 5 and 6 is by henchmen getting That Lad's Got Talent. If you start that way, drop the silly "Long Lived" handicap. My impression of the Mordheimer Wood Elves is that they are too good. No real drawbacks, awesome shooting skills with the glade bow (and high BS overall) and great close combat with the cats. They're basically as powerful (or even more powerful) in shooting as the Shadow Warriors but also have fairly cheap, great close combat options. No on in our group has tested any of the other warbands. I think you already have got good answers to your other questions by previous posters. so I have nothing to add there. Well, considering only the heroes start with BS 4, and every henchman starts with BS3, I see that a LOT more balanced than the Shadow Elves (which has EVERYONE start with BS 4, with the leader starting with BS 5.) That said, you've played with them, I haven't. Thanks for the quick feedback. I like the idea of sticking as closely to the Mordheimer rules as possible so the band has a somewhat legitimate feel. With that said, would starting with only 4 heroes put the warband more on par with Skaven, Shadow Warriors, Orcs & Mercs? These are the bands this group would be facing. Skaven and Shadow Warriors are Top Tier. Orcs can be nasty if played right and Mercs if they are Reikländer (imo). I wouldn't feel so bad to play Woodies if these are the Warbands you will be facing. Yeah, saying that they might be more powerful than the shadow warriors might be to exaggerate. They are well on par with them though. Skaven and Shadow Warriors are both powerful warbands though so the rules might be fine as is. So much comes down to luck though so it's hard to tell from the single time we had them in our group. *Broken record* Anyone serious about gaming with Wood Elves, feel free to email me. No time-wasters please. Subject: Re: Wood Elves Warband?